This is a sample of a pocket on the passap that I just tried. It is from Passap University book 1989 that my friend Sheila has. On the left of the pocket even with the rib is a line. I hand knitted stitches when putting back into work so I would not have to cut yarn. BAD IDEA! On the right of the rib, I accidentally twisted the piece while rehanging five stitches on the right. I cut and grafted so that I could see how this would turn out. It is a very unique idea and is all finished except for sewing pocket sides up and the edges of the rib to the sweater. 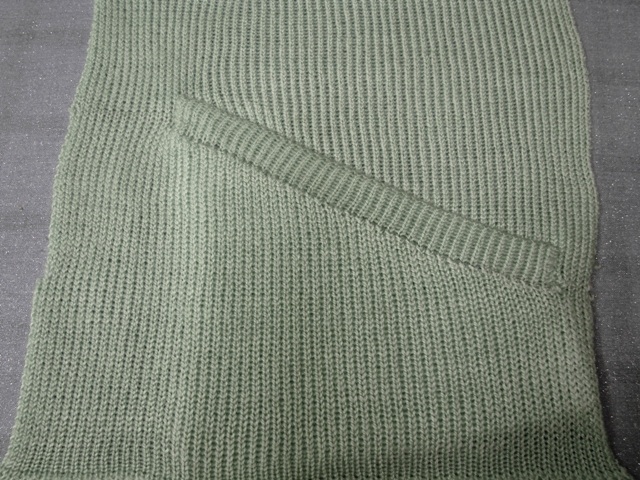 One picture shows a close up of the rib and another shows the inside of the pocket. 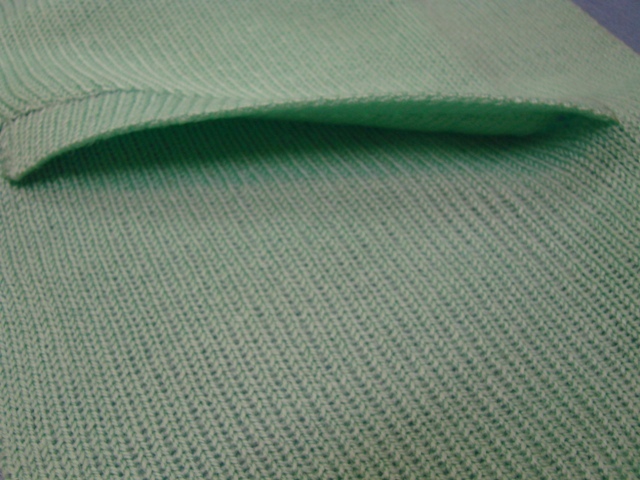 The last picure shows the lining of the pocket but is not sewn up. 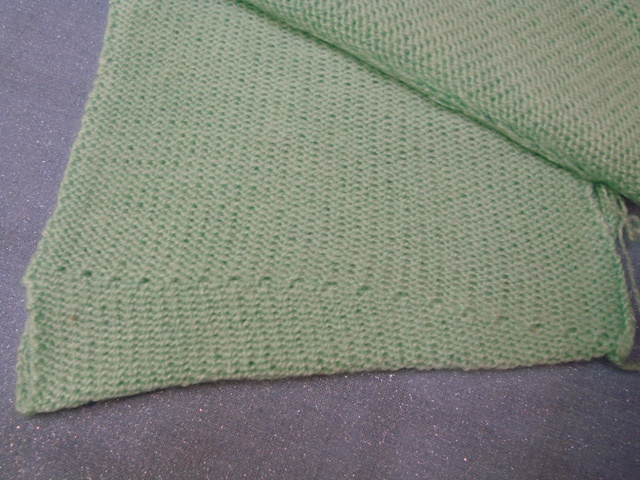 While knitting the lining, after doing one side you will short row so that pocket comes out fairly square and then you will knit the other side of the lining. 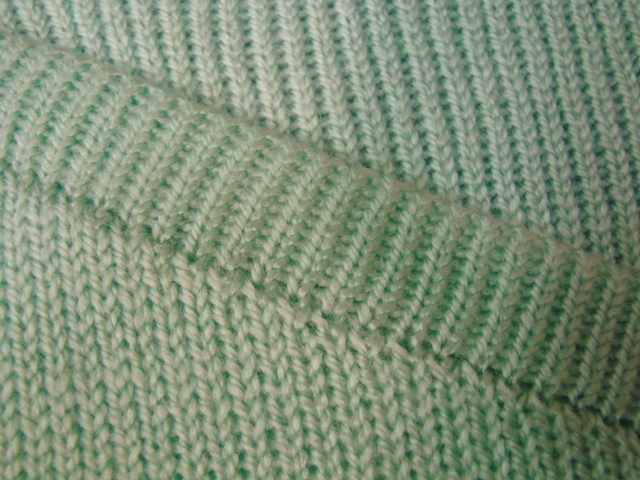 I also lost a couple of stitches on rib but would be more careful now since I know how it is knitted. I would encourage anyone to at least try this. Email me for the instructions.